Old junk doesn’t belong in a new home. When it finally comes time to pack up all of your stuff and move into a new home it’s a big undertaking. When you’re packing everything into boxes you usually find out just how much stuff you have and how much of it you really don’t need. You can make your move that much easier by calling Junk Boss to come haul away any of the extra junk you don’t need! You’ll have less junk to pack, less junk to move and less junk to find a place for in your new home. Moving into a new home just feels good. It’s a fresh start. However, you might have a lot of extra junk you brought with you that just doesn’t fit. Whether you need to get rid of old furniture, old appliances or even just boxes of random stuff, Junk Boss can help. Don’t ruin a good thing with old junk! Whether you’re packing or unpacking, Junk Boss can help you relieve the stress that comes with moving by helping you get rid of any items you don’t need. Our professional junk removal team can get your junk out of sight and out of mind. All you have to do is point at what you don’t want and we haul it away. It doesn’t matter if it’s in your garage, attic or living room, its all junk to us! Junk Boss is locally owned and operated in Oklahoma! We’re proud to provide our community with the best customer service around. 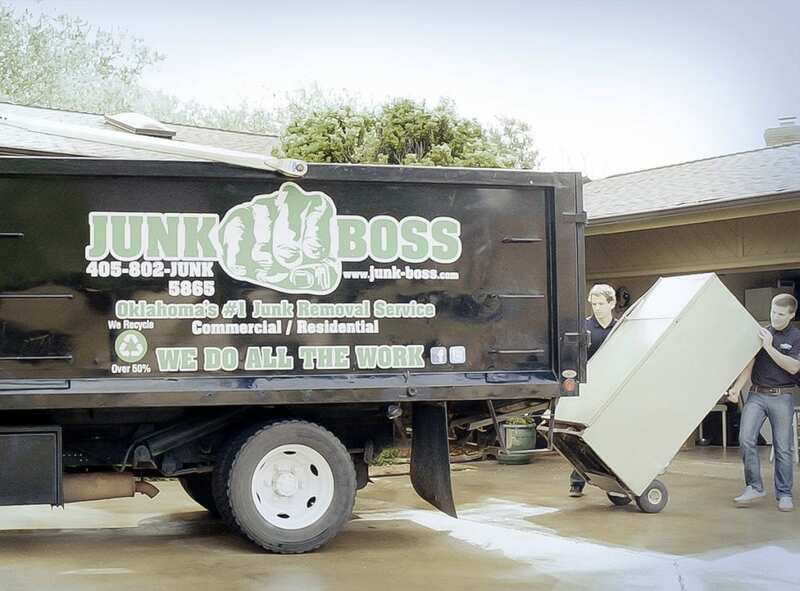 Junk Boss offers upfront, volume-based pricing with no hidden fees. Call us today for an easy estimate over the phone!